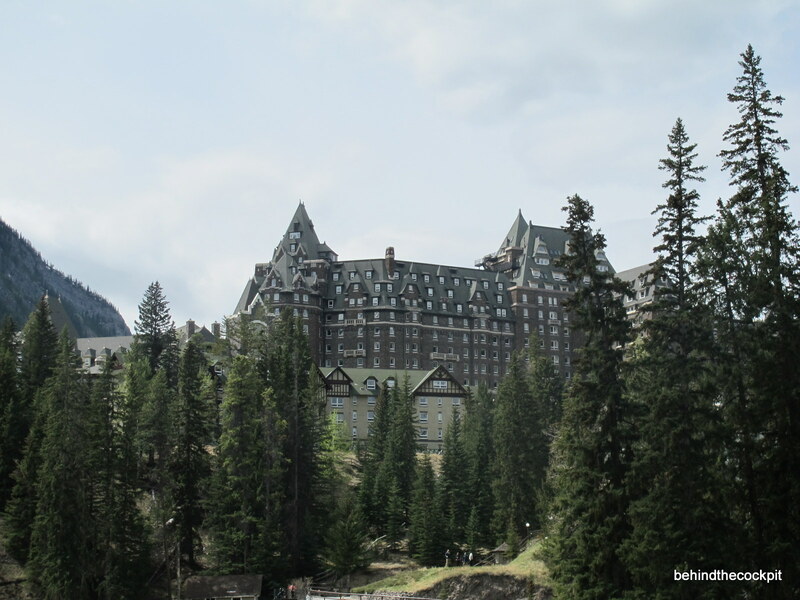 The Banff Springs refers to itself as the “Castle in the Rockies” and there is no doubt the building justifies the name but is the rest of the experience fit for a king and queen? 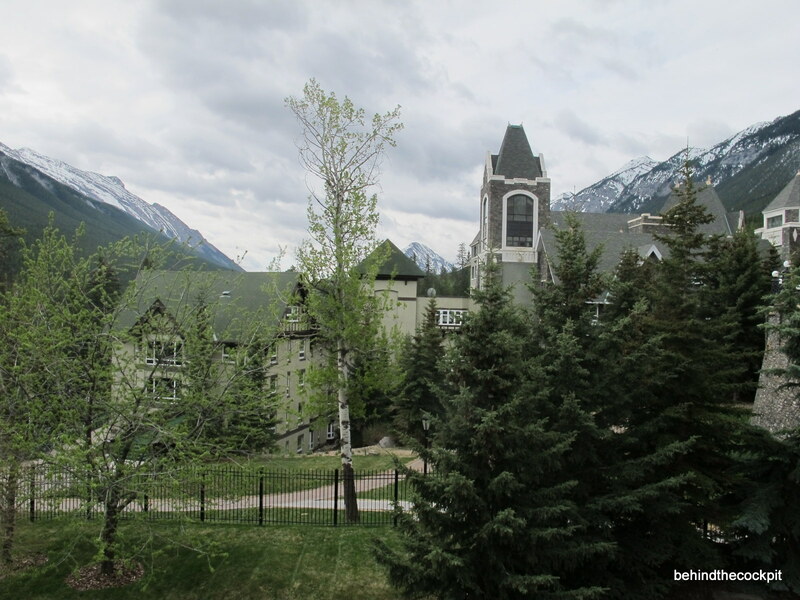 I’ve stayed at the Banff Springs now over a dozen times on separate occasions so obviously they must be doing something right to earn my business for this long. 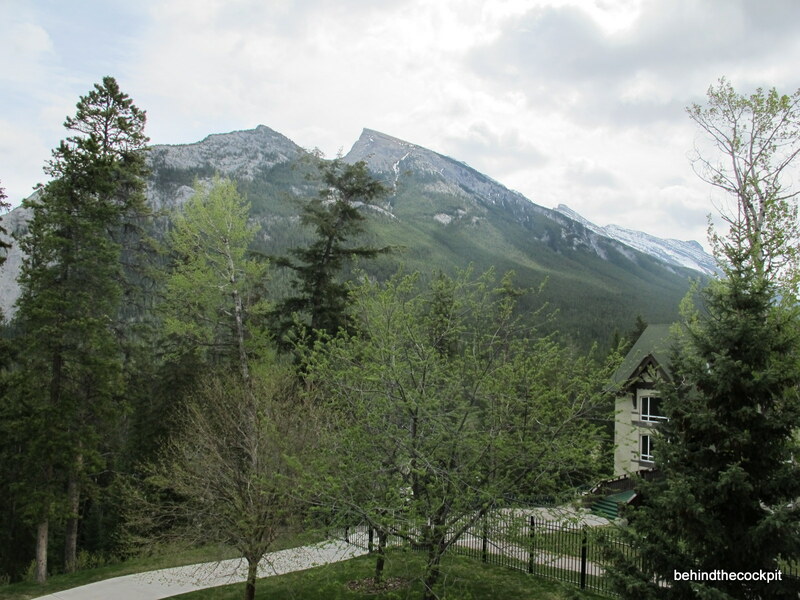 My stays have been split up rather evenly between visiting during the peak season in the summer and staying here during the winter ski season. The hotel is grand and by that I mean it holds a lot under one roof when it comes to choice. They have 27 holes of golf, 12 restaurants and lounges, Willow Stream Spa, pools, bowling alley, small shopping mall including a wine boutique, convenience store and liquor stores. 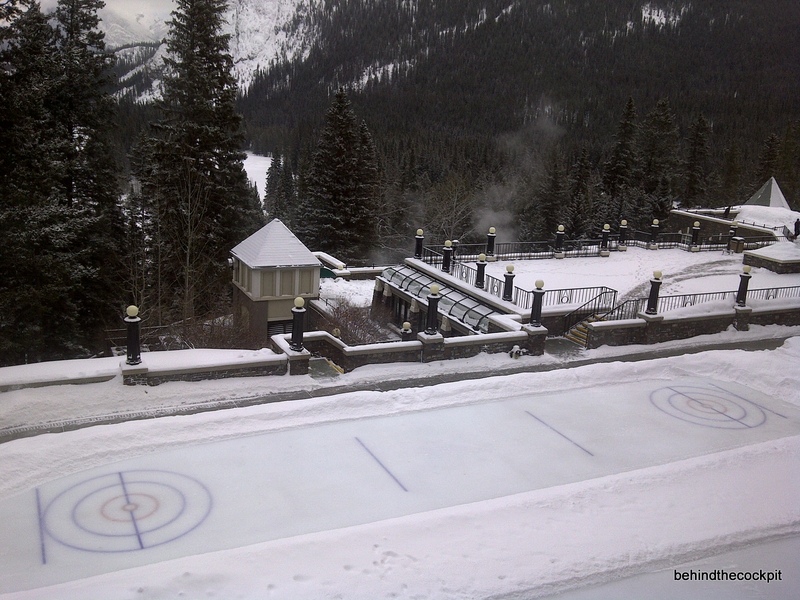 Seasonally they also offer different activities right on the resort grounds such as curling and skating in the winter and horseback riding and tennis in the summer. 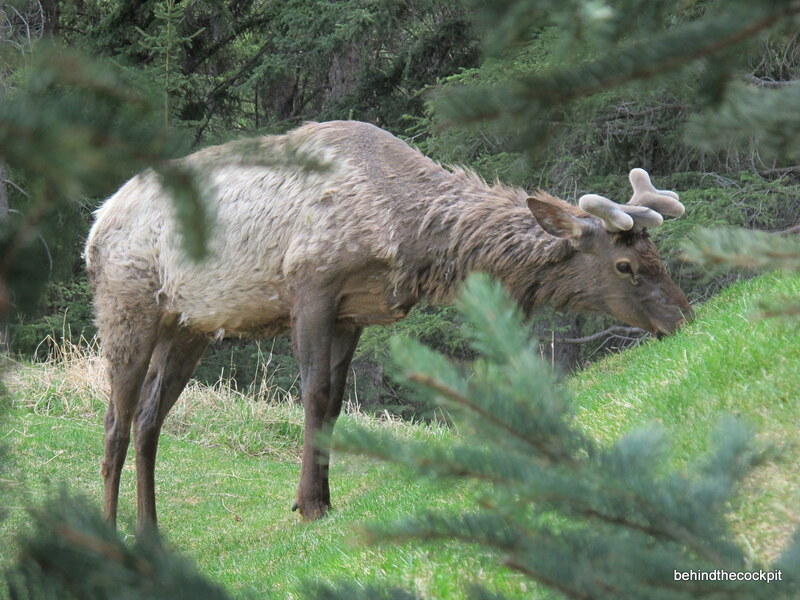 The town of Banff and surrounding area offer plenty of outdoor adventure activities. 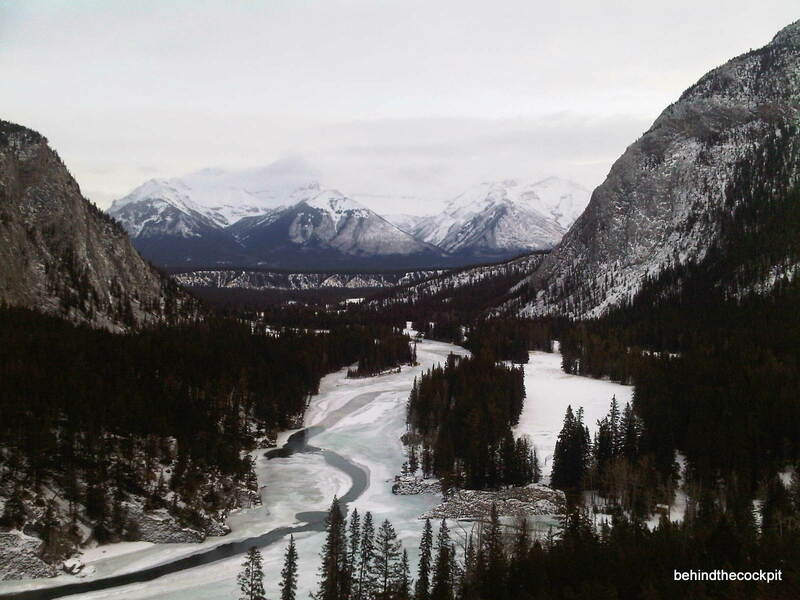 In the winter Sunshine Village ski area is a 15 minute drive and Lake Louise ski area is 30 minutes from the hotel. 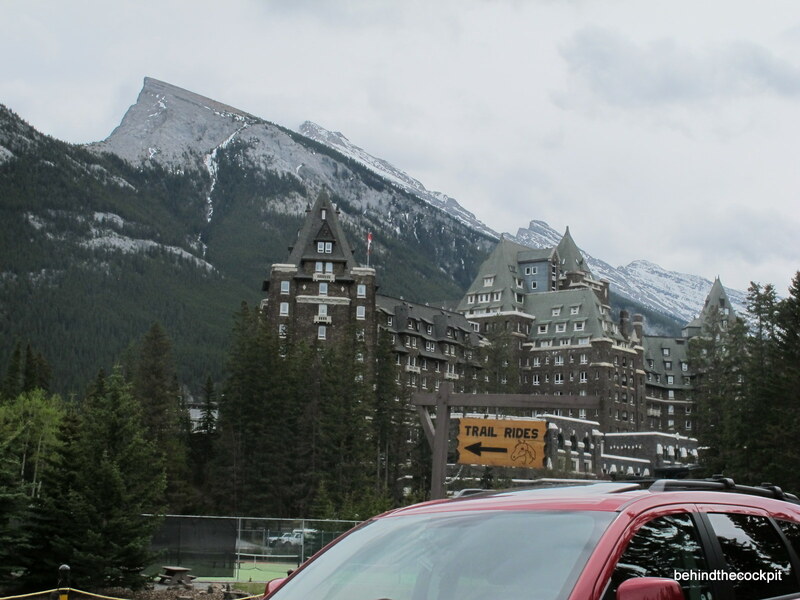 If you rarely make it out to this neck of the woods I highly suggest you make the trek to Lake Louise for skiing and check out the actual lake at the Chateau Lake Louise sister property and enjoy some après at the Post Hotel pub which cooks up excellent food in a casual setting. 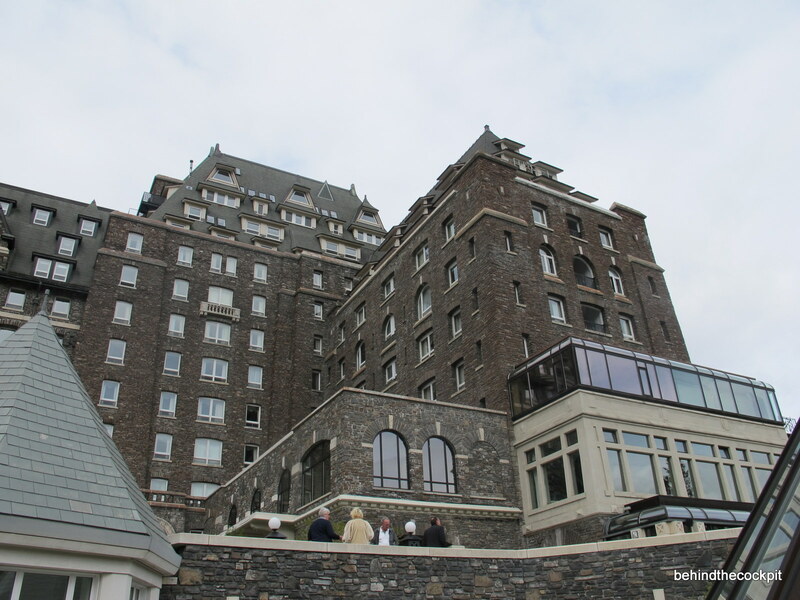 During the summer visiting Lake Louise is a must and I will post my report on the Chateau Lake Louise soon. Throughout this report I will try to include as many “Tips” as possible to ensure your experience at this hotel lives up to its reputation. With nearly 800 hotel rooms and 1,100 staff members not everyone gets the same experience at the end of the day from what I’ve seen and heard. Now before you even think about arriving at this hotel I suggest you get in touch with the concierge and book all the golf, dining and spa activities well ahead of your arrival. On weekends don’t expect to arrive at the spa and get a same day treatment or a 7pm dinner reservation at Castellos, their Italian restaurant without a reservation. The Springs has a very easy cancellation policy ranging from 4-24 hours so at the worst case you can cancel and then one of the people who didn’t book ahead of time will get lucky. 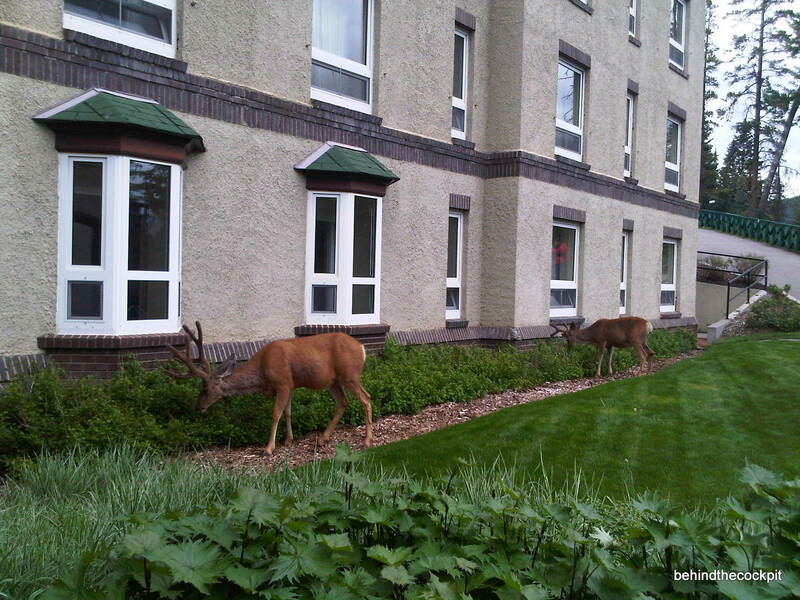 You aren’t only competing with other hotel guests for reservations but also people from local cities like Calgary who make a day trip and all the other tourists in Banff who may not wish to spend the bigger bucks to stay here but will come to the hotel for a nice meal or a day at the spa. 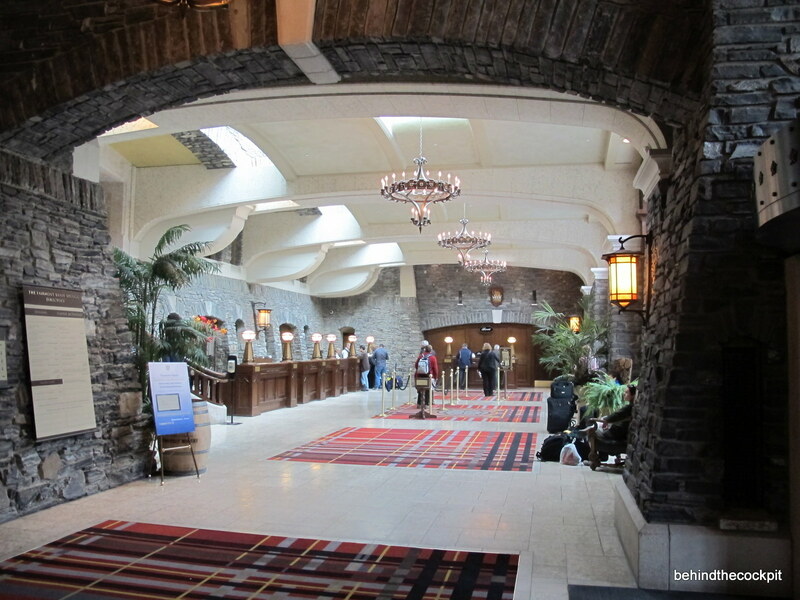 Checking in on a Friday at 4pm isn’t the most exciting part of the Banff Springs experience. I’ve sat in the line of cars in the traffic circle near the hotel where it has taken nearly half an hour to just unload the car. In case you find yourself in these shoes I would suggest driving under the bridge which connects the main hotel building with the Stanley Thompson wing. 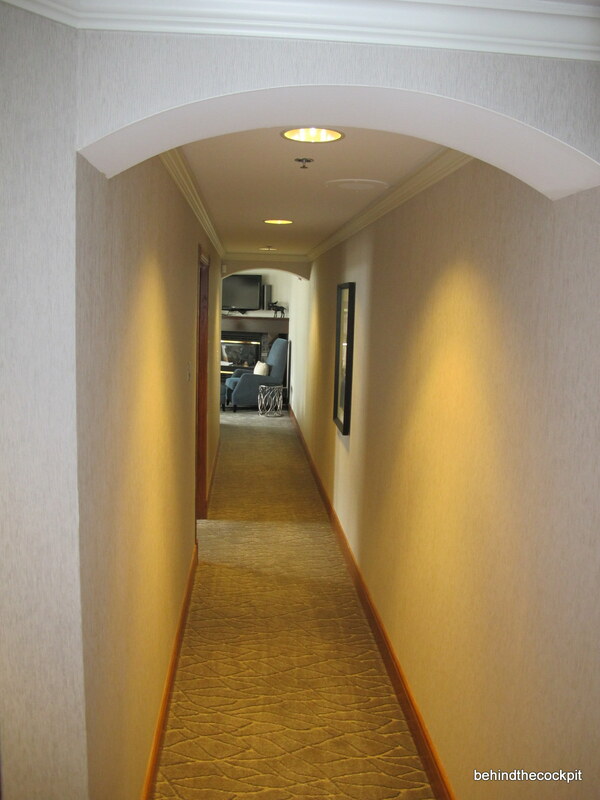 This way you can hop into the hotel to retrieve your room keys and avoid the dreaded wait to just unload. If that area is blocked off you can just park in the traffic circle facing the conference area as well as liquor and convenience stores. I usually will take my bags to the room and go park myself if there is a serious line to get to the front door. When the golf course is open I normally leave my car at the course after enjoying a round of golf and having a few too many adult bevies to drive back to the hotel so I just take the shuttle and end up saving the $29 valet charge too 😉 Ever since they added the $10 gratuity charge per night having $39 + taxes at checkout adds up. Even before this gratuity charge kicked in the staff used to say tips were included? At least they didn’t start charging a $28 resort fee which seems to be becoming the norm at higher end resort hotels lately. But back for a second to gratuities, I’m not a fan of the nightly $10 charge because at the end of the day I don’t get to decide who earns my gratuities and what share everyone gets. Overall though the service at this hotel has been top notch for all my stays so I’ve come to accept the $10 charge even though I still tip the staff when their service shines in my books. 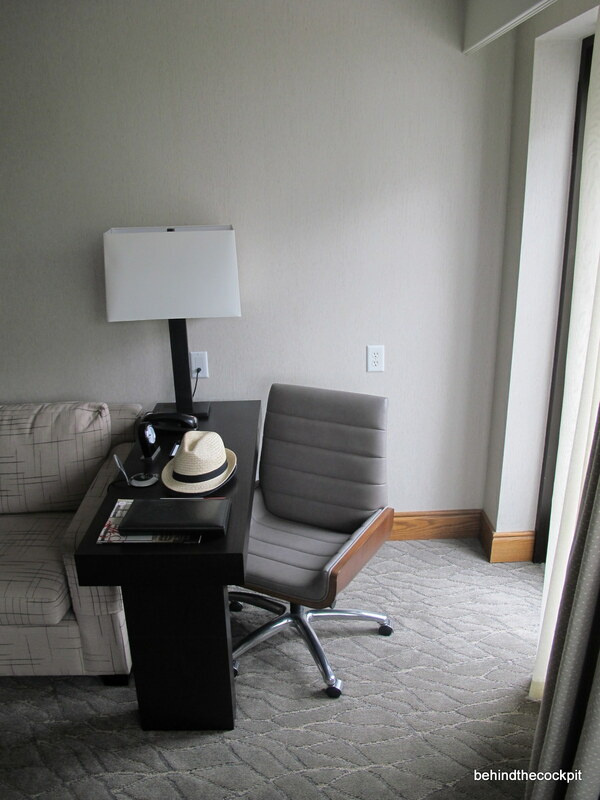 If you’re a Presidents Club member they might even have your keys at the bellman desk so you don’t have to deal with any long lines at the reception/front desk counter. But not always, even being a Platinum member can cause a long wait because I’ve seen the Presidents club desk have one agent compared to 5 working the regular counter. 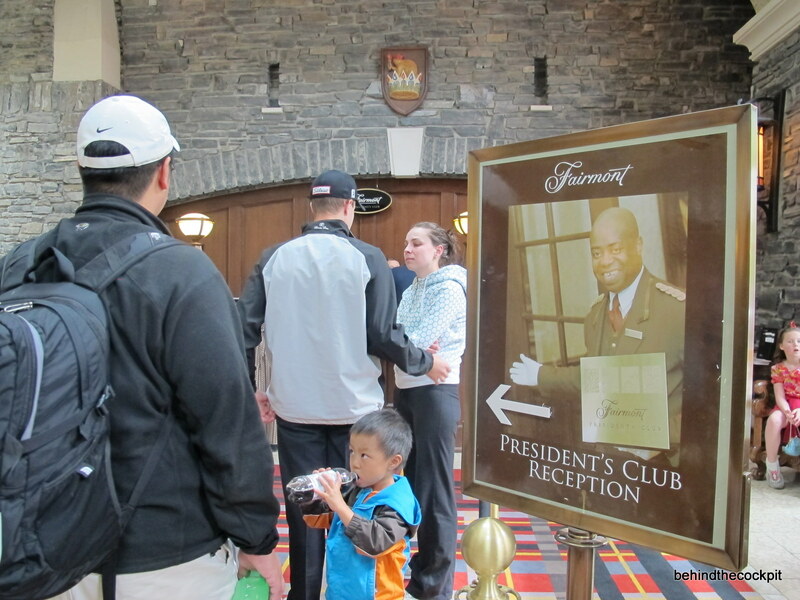 The Banff Springs also has a new VIP concierge who currently works out of the old FPC check-in desk. This is on the base level of the Rundle lounge just next to the south exit and parking circle I suggested earlier where you should drive in case it‘s really busy. I’m sure you can arrange to pick up your keys from there and be checked into your room fairly fast in case there are big waits. 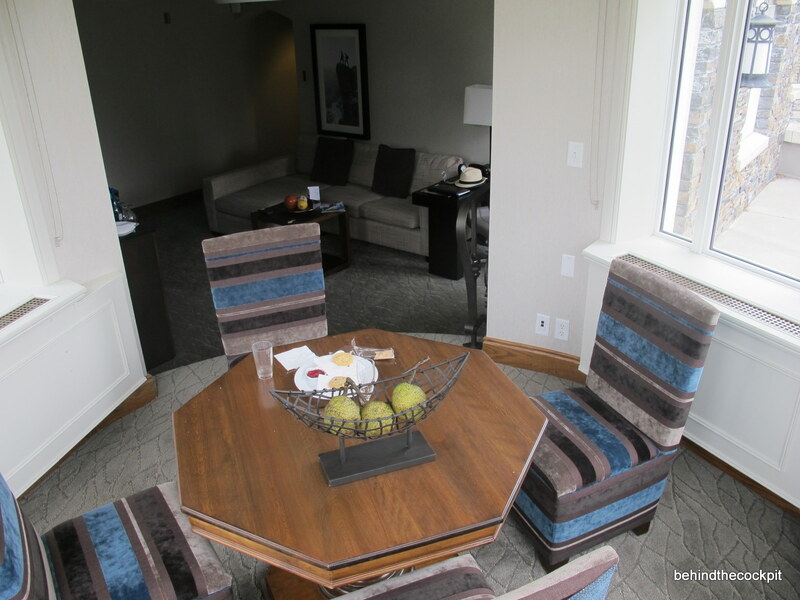 Being a platinum member with FPC in the past you could reserve a one bedroom suite months before you arrived. 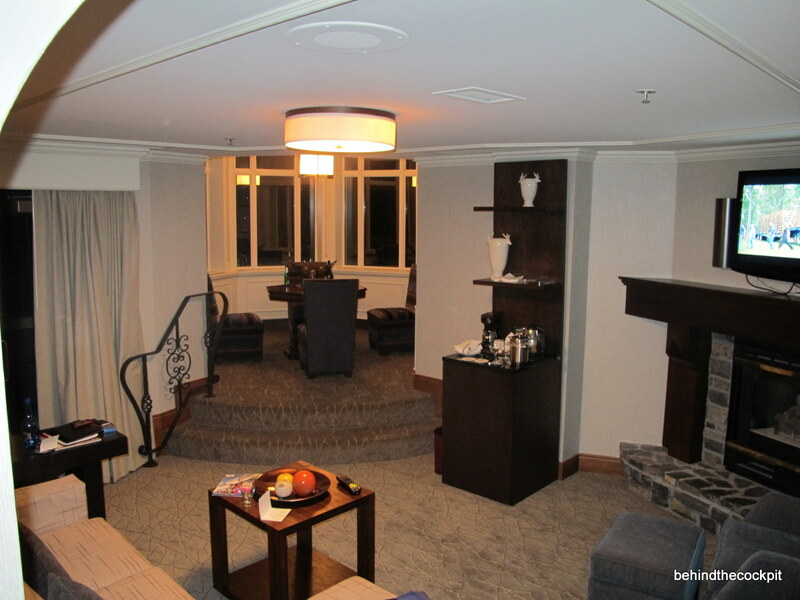 It was one of the best uses of a suite upgrade certificate throughout the Fairmont chain especially if you get lucky and draw one of their specialty suites. Nowadays at check-in you can inquire about what one bedroom suites are available and then choose to use your certificate or not. On this visit the lady handling our check-in really did a first class job. 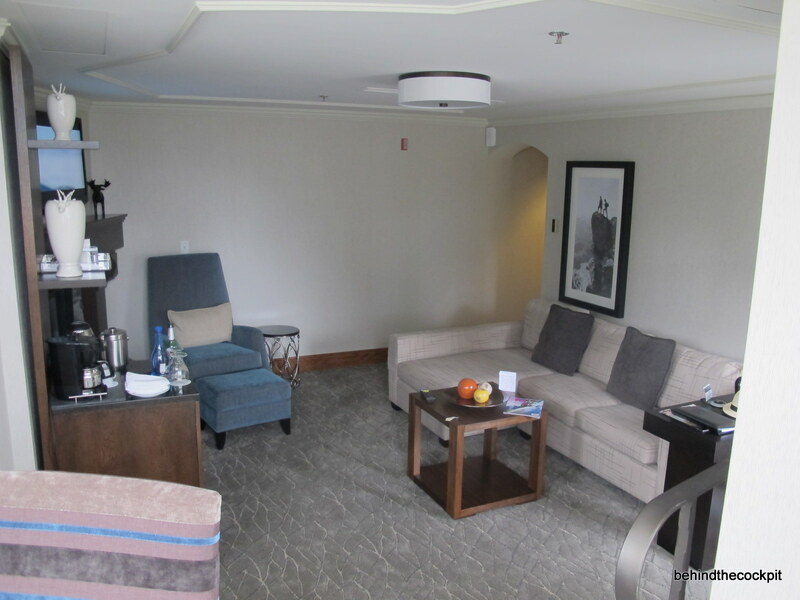 I asked about the possibility of using my suite upgrade and she said I had a choice between the Spa Suite or Stinson suite which used to be the presidential suite. 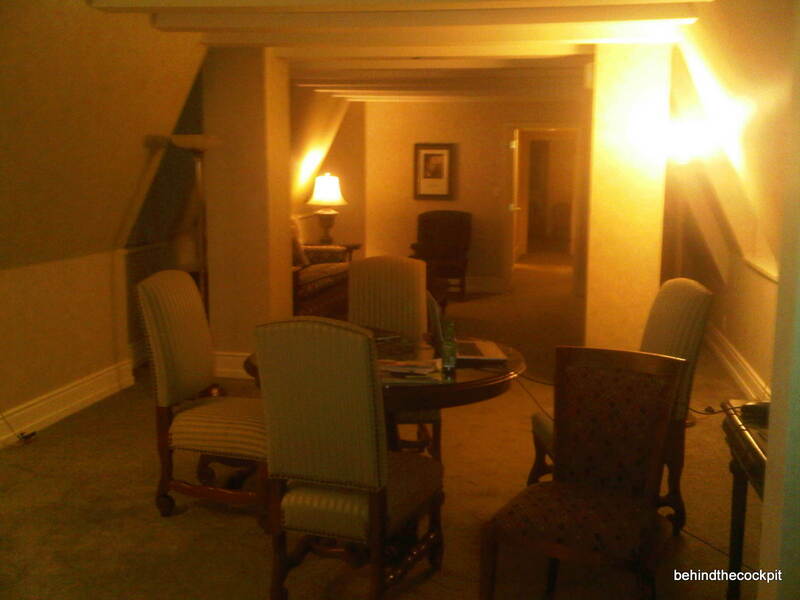 The spa suites at this hotel have a special place in my heart with their 400+ square foot balconies. 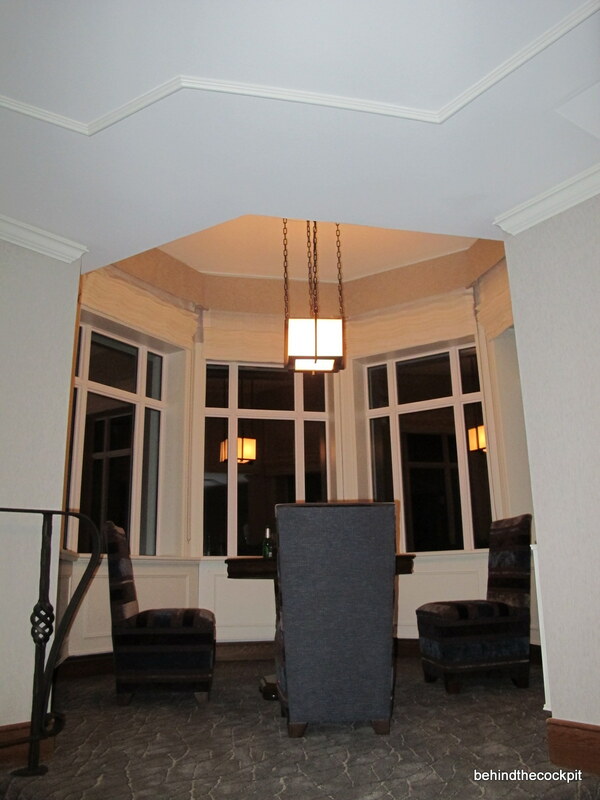 The Stinson suite takes up the full wing over the rundle lounge on the 9th floor. 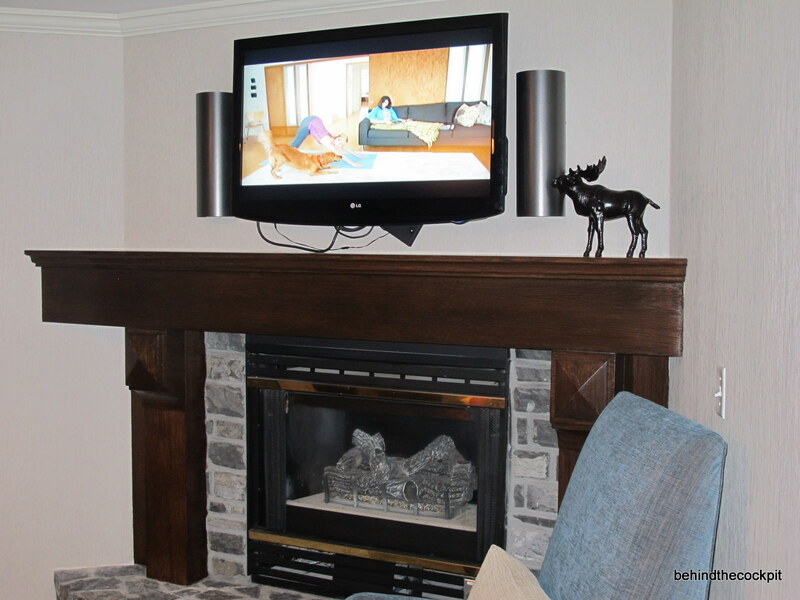 It is referred to as the bowling suite since it’s fairly narrow but very long. 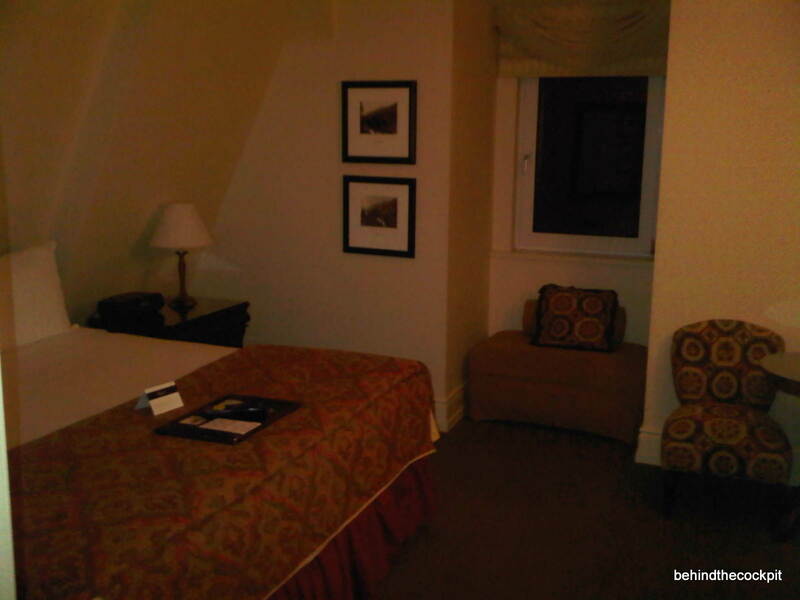 It has no balconies but full 180 degree views, I hope no one ever had to use the emergency exit out of this room located off the bedroom since it looks like a death trap. 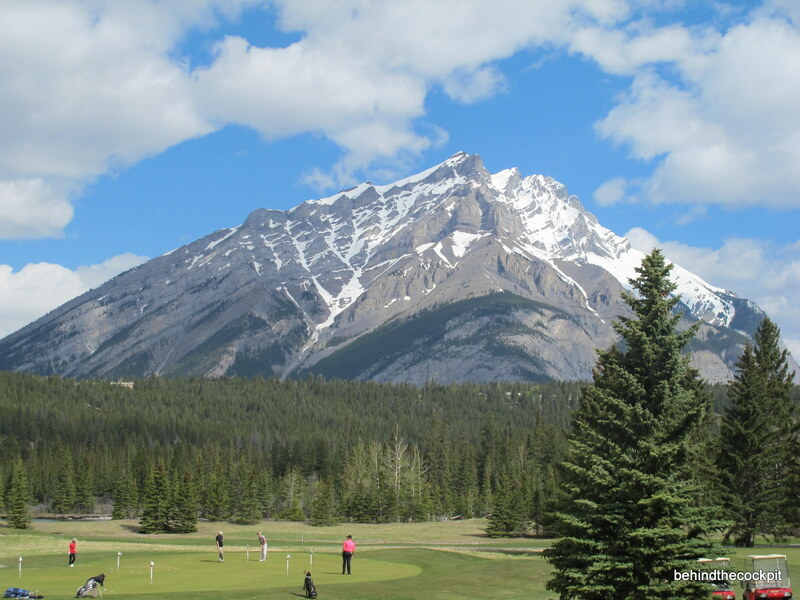 On this visit I went to play golf with a few friends while my better half spent the afternoon getting a massage and using the Willowstream spa. The facilities at this SPA are a notch above the average for sure. It costs $79 ($49 for FPC members) just to enter and when it’s not too busy this is actually worth it if you are planning to spend a fair amount of time there and really value peace and quiet. 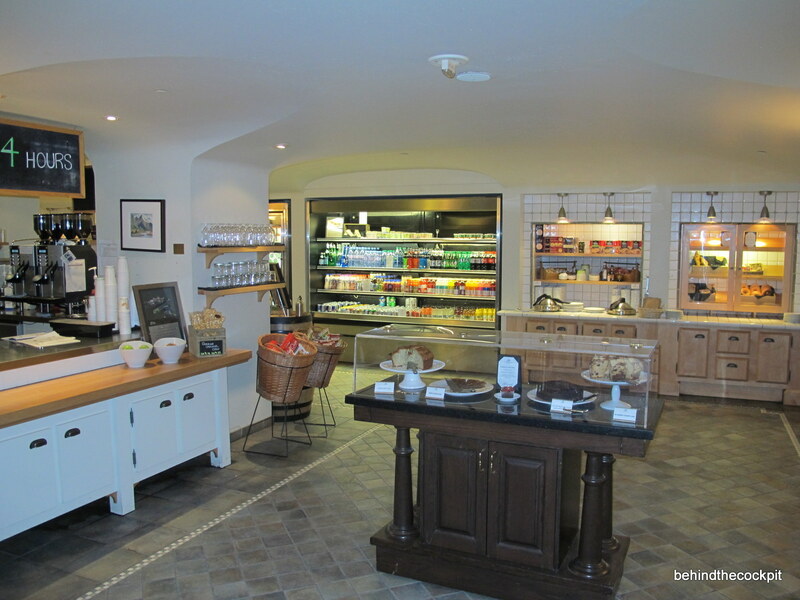 The spa has a lounge which offers cookies, muffins, fruit, tea, coffee and flavoured waters. It also offers a larger mineral pool with classical music under the water as well as 3 different waterfall plunge pools with different temperature waters. 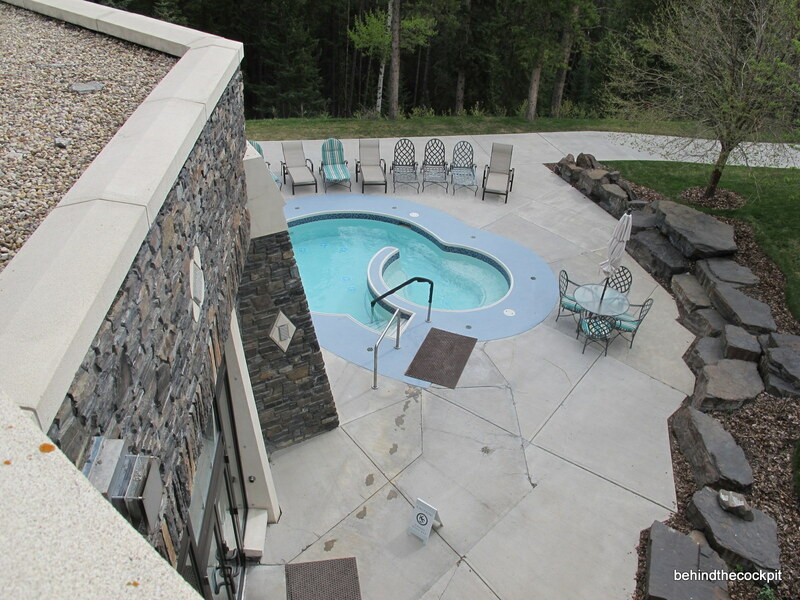 There is an outdoor patio with hot tub. 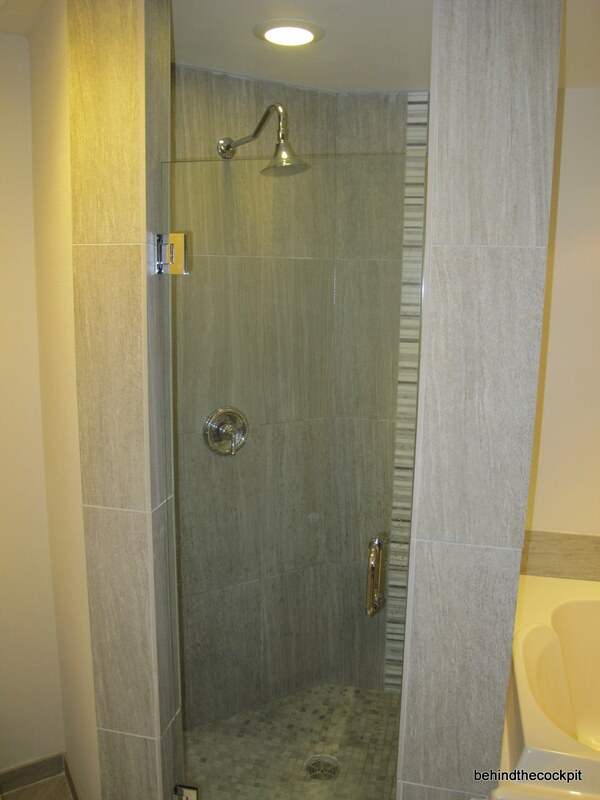 There is also a steam room and sauna on the men’s side along with a men’s lounge which has a TV, magazines and a few comfortable chairs as well as a balcony and shower/change facilities. 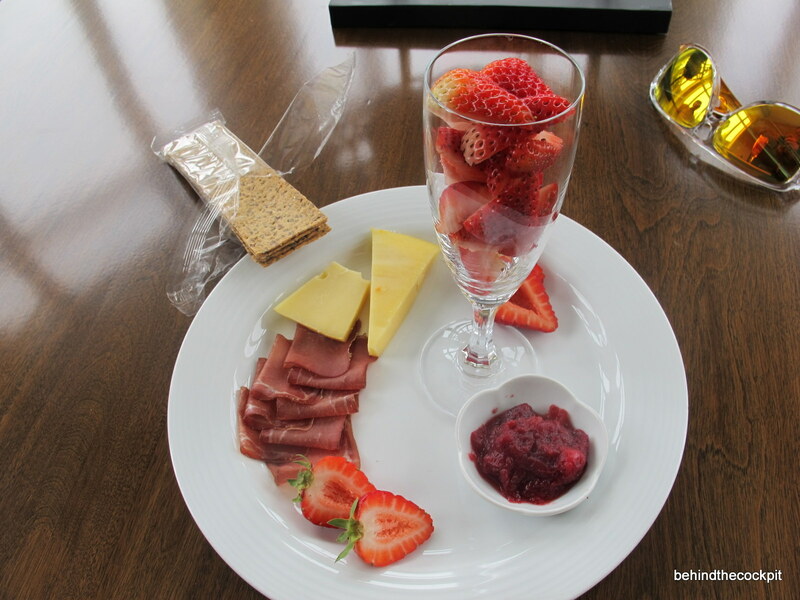 You can have food delivered to the SPA but it’s a limited room service menu since they don’t want any big spills or odours from certain foods. I’ve played the golf course at this hotel quite a few times and it really is a special place. Not only did I have my first hole in one on their signature hole the Devil’s Cauldron but I have enjoyed these links with many friends over the years. 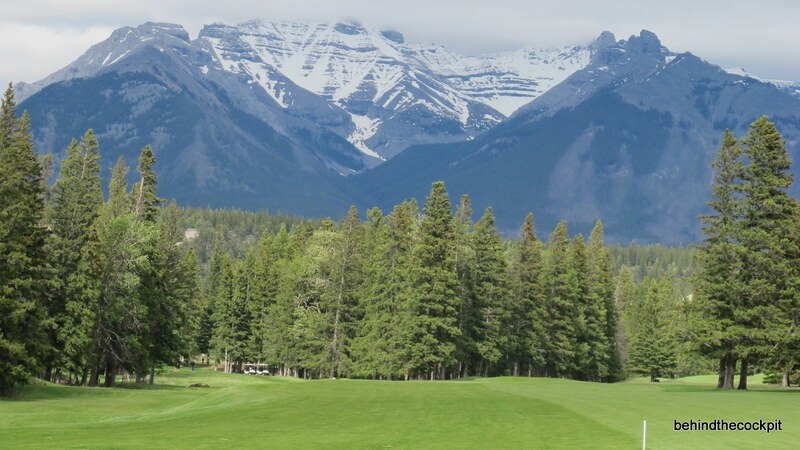 I really do wish the first hole started from the Banff Springs hotel as it originally did but they decided to build a bigger clubhouse in the 1980s and as a result the old #1 hole is now #15. This may seem trivial to most of you but at the end of the day it really changes the way the golf course is played. 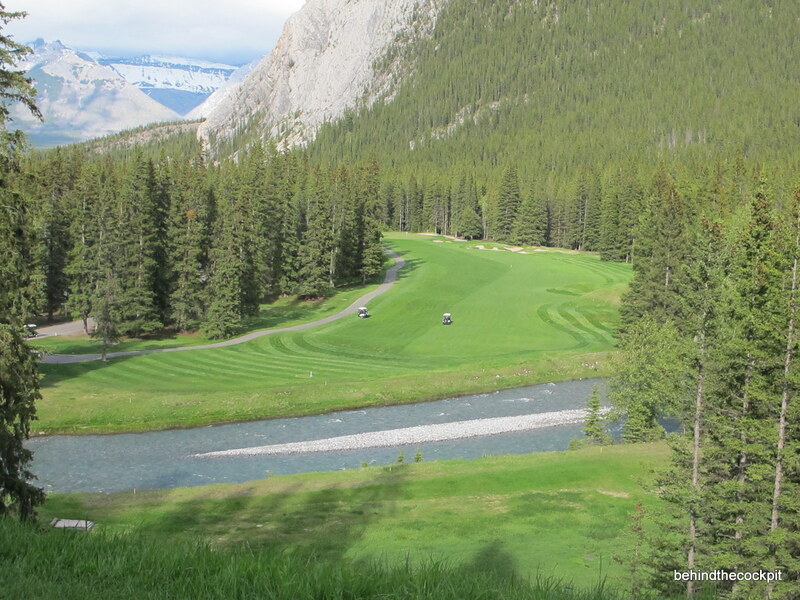 No longer will you start on what may be the best opening hole in Canada but you no longer finish at the actual hotel like the course was meant to be played, with the hardest holes coming into the clubhouse and usually hitting into the wind. The signature hole is now too early in the rotation, if you plan to play this course and it isn’t busy I would ask the clubhouse staff if you could start on #15 and they have been willing to make this exception, but it‘s rare so consider it lucky. 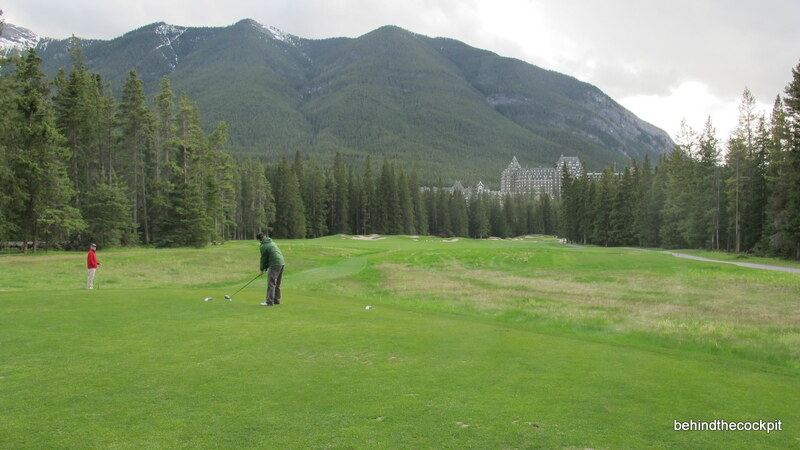 The Banff Springs Golf course also offers old hickory shafted golf club rentals with gutta percha balls so you can play the course with the same equipment players used a hundred years ago on this same course. 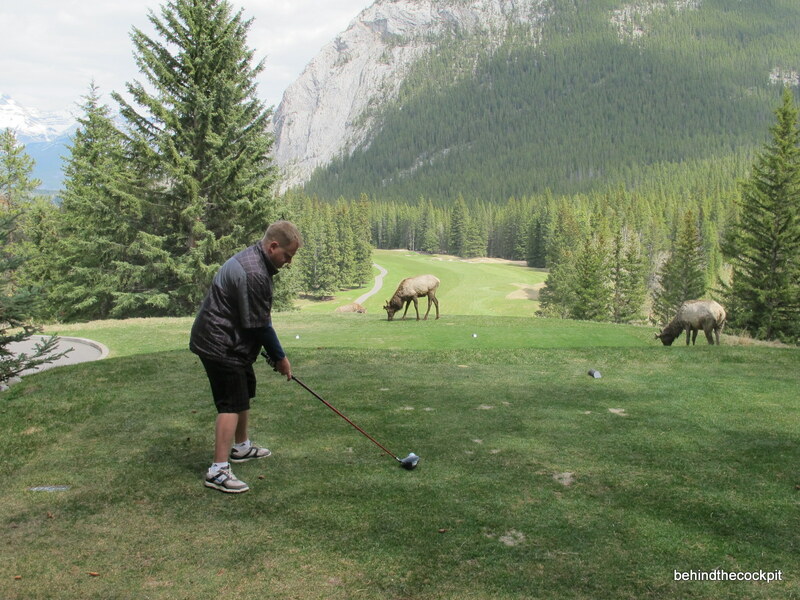 I promise the golf part of this post is almost over but I must add we played this course two weeks after it opened. It was my first time playing it so early in the season and I can see why the green fees are reduced during this time. Besides waiting for 20 minutes for our two veal bratwursts and snack pizzas at the turn the overall shape of the course was pitiful. I don’t think any of the bunkers had been raked since the beginning of the season and the greens were atrocious. I understand they were aerated 4 days before our arrival but at the very least the staff could have let me know when I made the tee time. There was no cart service for snacks and beverages either, for $155 for 18 holes the service and conditions were poor. 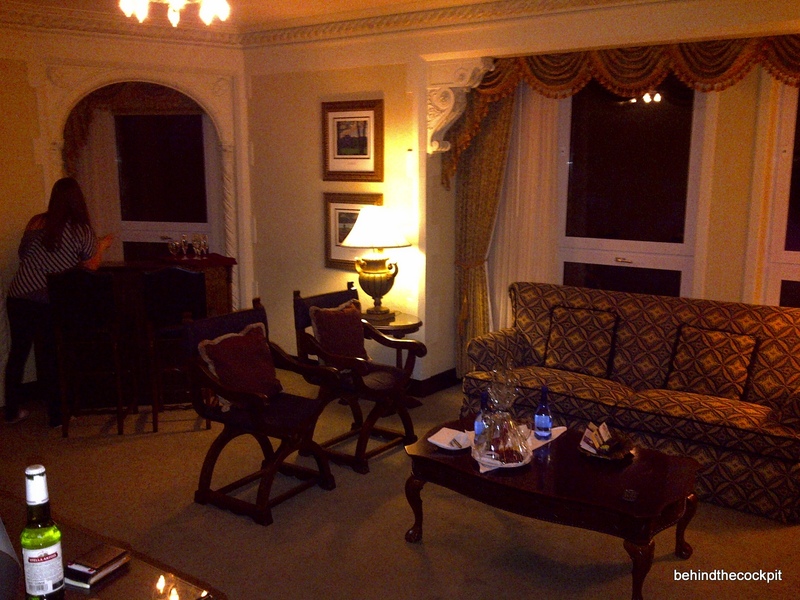 After the golf I headed to my tranquil quarters for the night. The spa suites are located just to the right of the spa on the same floor as you walk into the hotel from the front entrance. As you walk up to the door you can’t help but notice the doorbell, a very good sign in any hotel room. 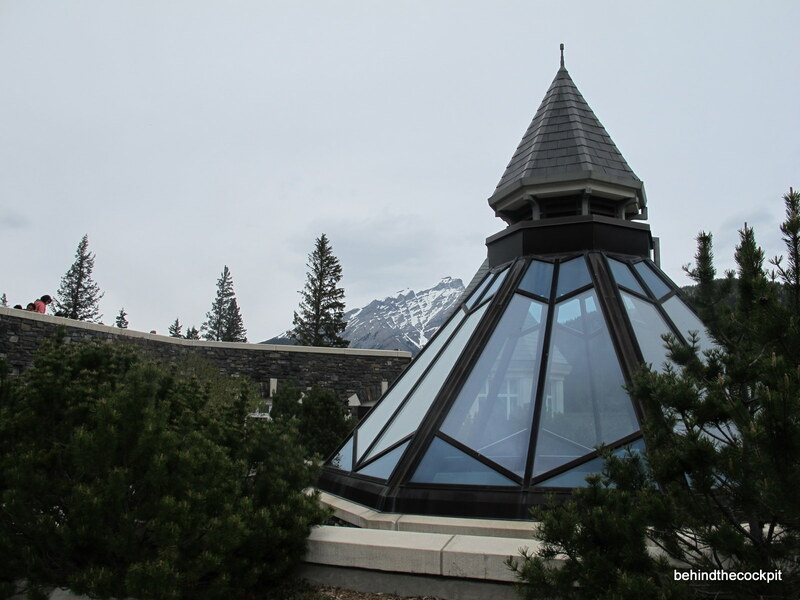 The two SPA suites at the Banff Springs really are impressive. They have been renovated recently and have a modern contemporary feel which is rare in this hotel but a welcome sight for the frequent guest. 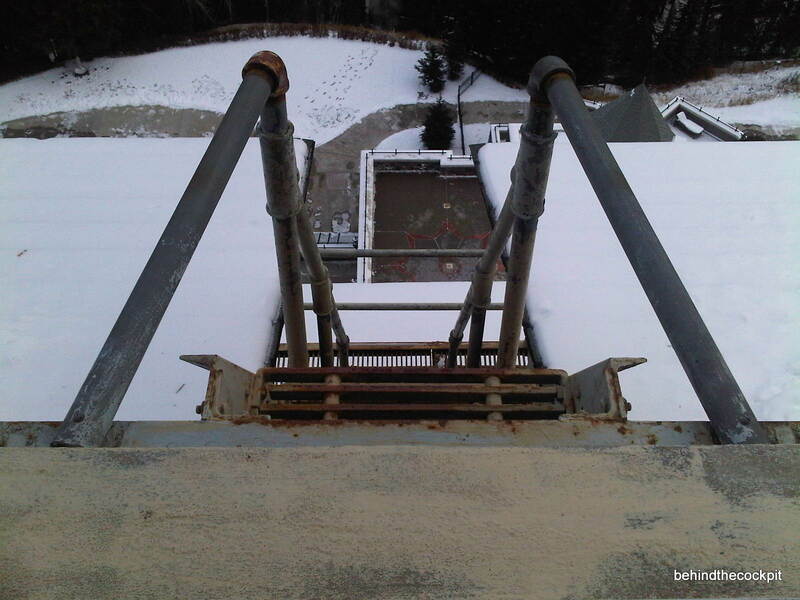 The only real negative is you are on the ground level so the views from the huge balcony have some trees which block out a few views. Otherwise you can entertain probably 30 people here easily. The turret dining room is always a special place to have a meal or even better the balcony when the weather cooperates. The only bad part about this is the usual tourists who are on the ledge above you and are peering in with jealousy. For those of you coming here for the first time or who don’t have status with Fairmont I do have a few room suggestions. This hotel renovates floor by floor from bottom to top. 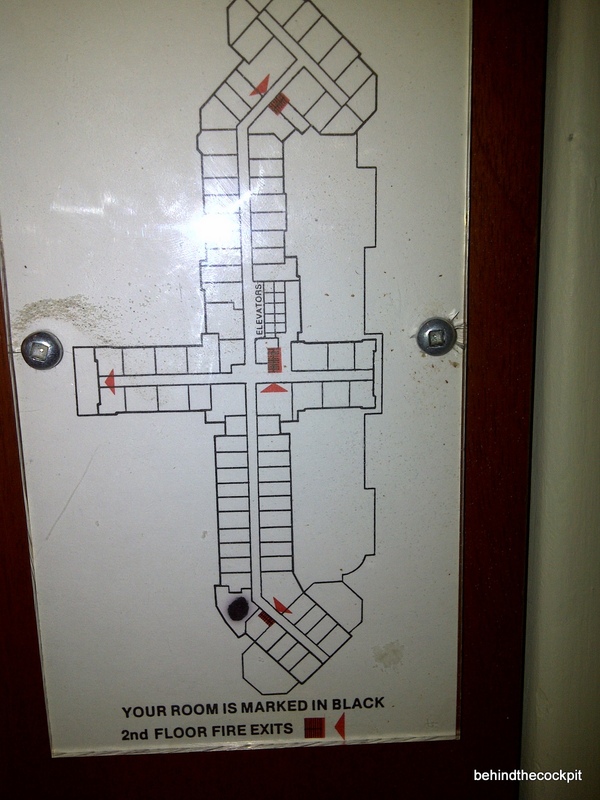 I think they are currently on either floor 8 or 9 (Floor 9 is small compared to the rest) so keep this in mind. 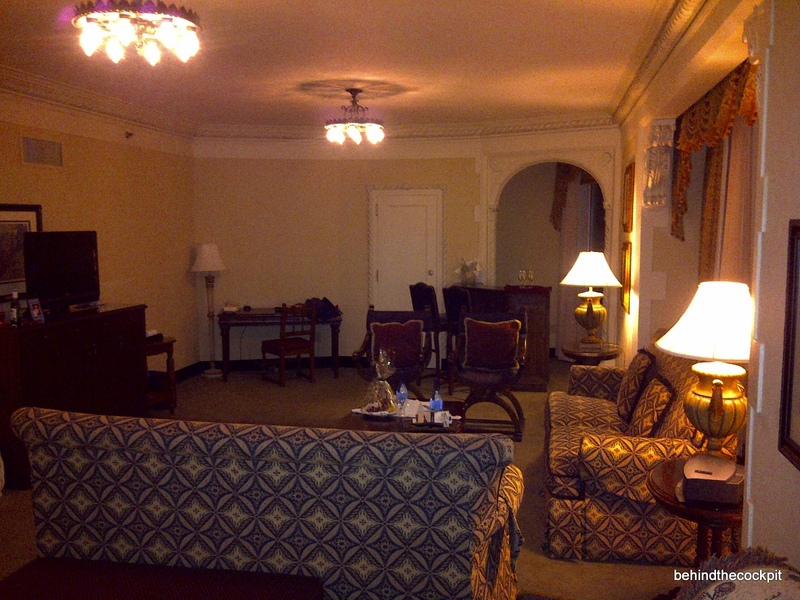 I had a stay over New Years Eve and was on floor 7 in a very nice deluxe non view room. 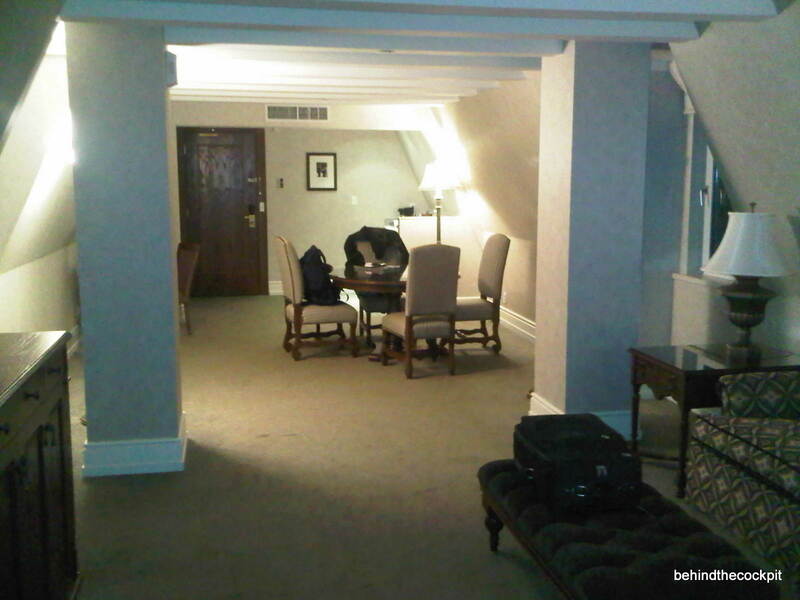 I also stayed in a parlour suite on the 2nd floor and saw a few friends’ rooms on floor 2 at the same time and it almost seems like a different hotel. I’ve also stayed in an Executive View Suite in the Stanley Thompson wing. 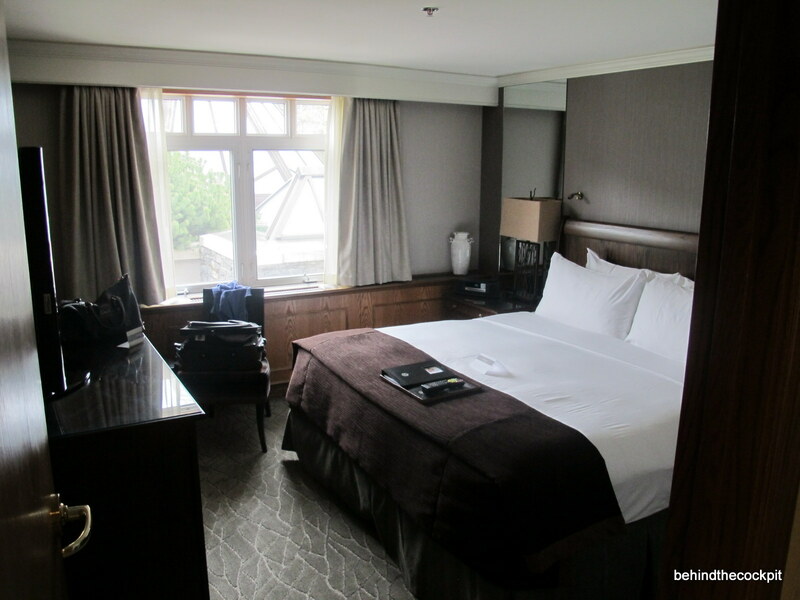 Besides the long walk I really felt no special charm on this side of the hotel and I prefer a Junior Suite over an Executive Suite without question. The hotel is huge and if it’s not sold out and you don’t like your room call the front desk and they should be able to help you out. With 12 different dining options I suggest you browse the menus and go with your gut. The prices at the restaurants are above average so I usually go to Castellos for group dinners even though spaghetti will run you $27. Overall the food quality at this hotel and service are above average for a resort this size. 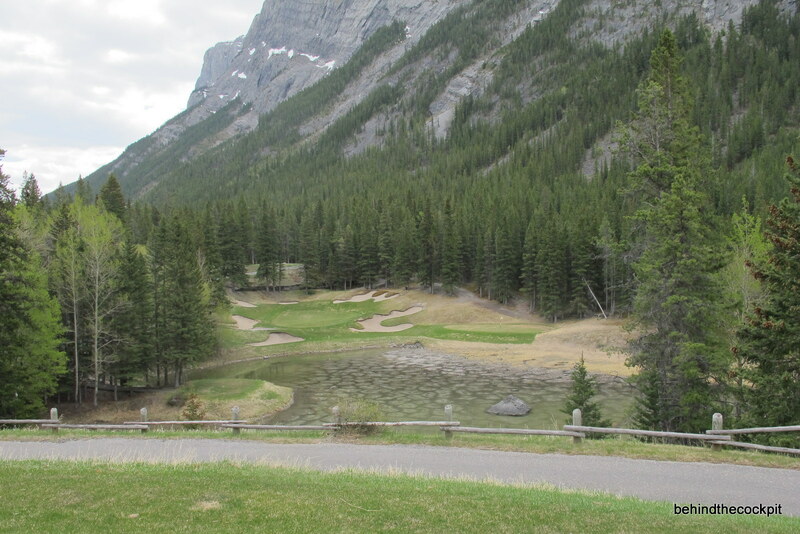 If you happen to be here with a group I suggest looking into booking the private room at the Banffshire Club. There is no additional cost to reserve this room and it will definitely make for a memorable meal. I’ve never been to the fitness area at this hotel but have frequented the pool many times. This hotel has been around for so long they have a liquor license for the full building. A major benefit to this is they actually allow you to bring your own booze to the pool and enjoy it as long as you have it in a plastic cup. 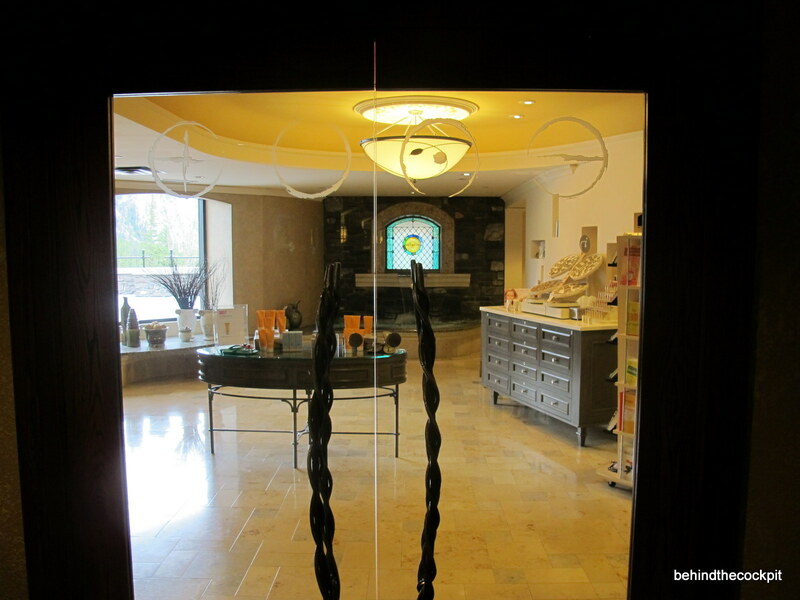 There is an indoor lap pool, grotto style hot tub next to it and outdoor heated pool which is a blast in the winter. If you are expecting a true world class five star experience while at this hotel make sure you get a room on their gold floor. The gold floor has many benefits and I suggest you get in touch with the hotel itself to make sure it’s worth the additional expense. 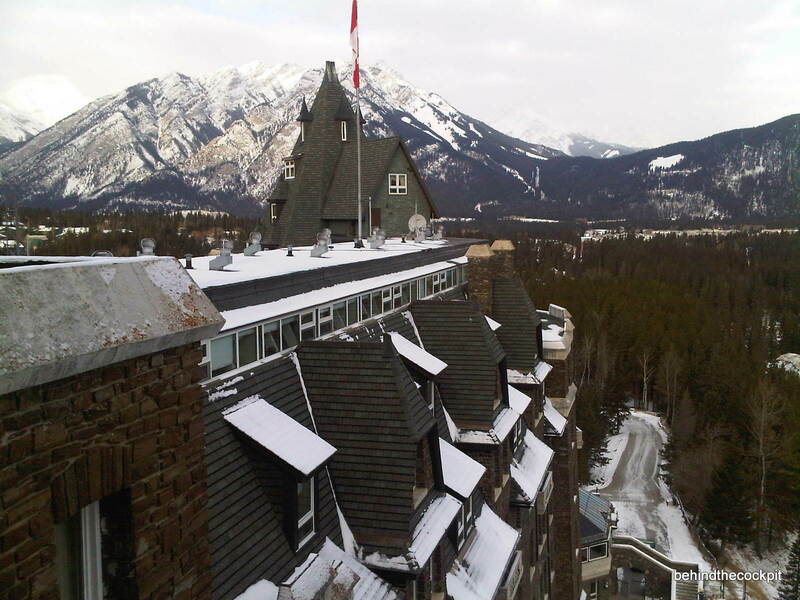 Taking all my stays into account I must say the Banff Springs has treated me well over the years. Yes, I’ve had to endure some really long lines but over time all I remember is the special nights I’ve enjoyed at the castle with friends and family. If you make it here and take my “tips” into account I really hope you end up feeling like a queen or king as you deserve to at this castle. 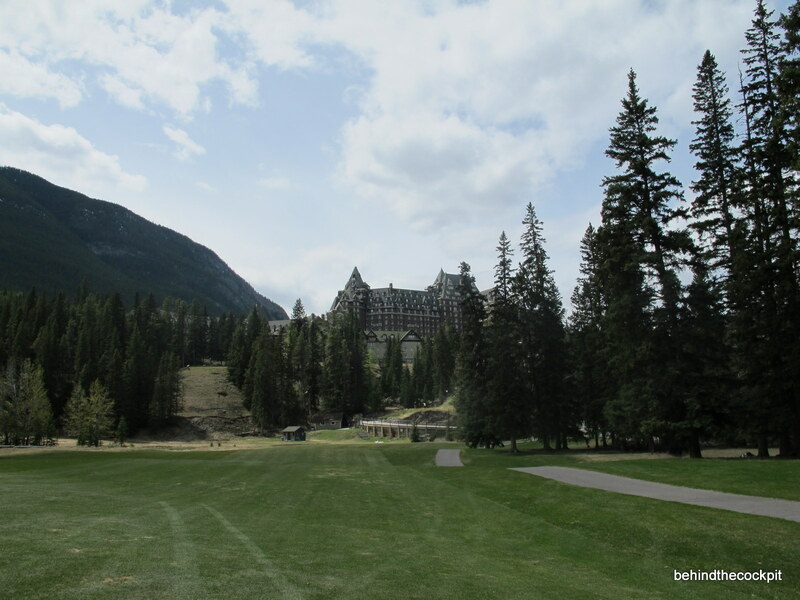 This entry was posted in Hotels, Trip Reports and tagged Banff golf, Banff Springs Hotel, Fairmont Banff, Suites at the Fairmont Banff Springs hotel, Trip report. Bookmark the permalink.